‘Understanding architectural space from the perspective of light and colour is an enriching experience. 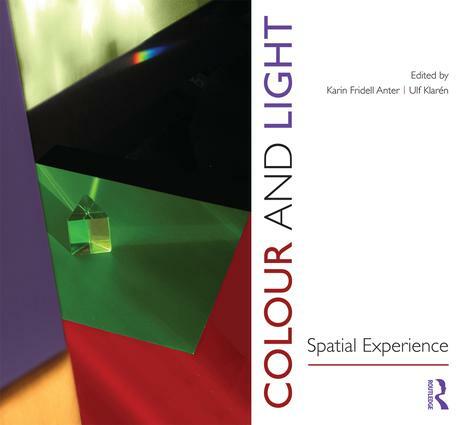 There have been no other books that describe colour and light dynamics in a spatial context. Colour and Light: Spatial Experience should be required reading for both designers and academics alike.’ - Galen Minah, Associate Professor, Department of Architecture, College of Built Environments, University of Washington, Seattle WA, USA. ‘This is going straight onto my list of books that I recommend to students of design. Separate chapters deal with light sources, paint, the specification of colour and the visual characteristics of materials, but it all comes together at the end. Rather as Einstein introduced the new concept of space/time to physics, here we have the synthesis of space/light/colour.’ - Dr Paul Green-Armytage, Associate of Curtin University, Past President of the Colour Society of Australia. ‘Colour and Light: Spatial Experience establishes a milestone in the knowledge that cannot be missed in the library of anyone involved in colour and light.’ - Prof. Arch. Pietro Zennaro, Iuav University of Venice, Italy. Karin Fridell Anter is an architect SAR/MSA, PhD and reader in architecture, specialised in colour. She has written and edited several books and numerous scientific and popular articles dealing with colour and architecture. In 2010-2011 she headed the research project SYN-TES which lay the foundations for this book. She is active as a researcher, lecturer, writer, and colour consultant in the consulting company Explicator AB, www.explicator.se. Ulf Klarén is a researcher, writer and lecturer on perception, colour and light. Until his retirement in 2011 he was senior lecturer and head of The Perception Studio at Konstfack – University College of Arts, Crafts and Design in Stockholm. Ulf Klarén’s publications include a textbook on colour and several scientific reports and contributions to anthologies. He has been a guest teacher at Aalto University - School of Arts, Design, and Architecture in Helsinki and an invited lecturer in several Scandinavian universities and collegesIn 2010 - 2011 he was assistant project leader of the research project SYN-TES which lay the foundations for this book. Ulf Klarén is furthermore a practicing illustrator.